For a fresh scent that hydrates your skin, smells great, is toxin free, and can be used to energize or wind down, try making your own body mists. Here are three recipes to use throughout the day and they only take a few minutes to make. This recipe is super easy because the blend is already made—Vitality Extracts Energy Blend. It’ll give you a boost and help uplift your mood, stimulate your mind, and increase your energy. Energy Blend can increase blood flow, clear the mind, rejuvenate mind and body, and balance stress & anxiety. Nice way to start the day. It’s a combination of Rosemary, Juniper Berry, Juniper Needle, Silver Fir Needle, Lemongrass, Clove, Nutmeg, and Black Pepper. Using a two-ounce glass spray bottle, add 1 teaspoon of alcohol-free witch hazel, ¼ cup of distilled water, and 15 drops of Energy Blend. Put the cap on the bottle and shake to blend. Also shake it before each use. Spray around your body, hair, and clothes. This recipe is uplifting and good for a middle-of-the-day pick me up. Follow the recipe for the Morning Body Mist. Peppermint Essential Oil is antiviral and anti-inflammatory, cleansing the air from bacteria and viruses. It increases blood flow and can also help reduce physical discomfort of pain, as well as help heal wounds. Just the fragrance of Orange Essential Oil is enough to perk you up. Orange has antibacterial properties—a natural disinfectant. It’s invigorating to both body and mind, improves immune function, and clears the lymphatic system. Frankincense Essential Oil has soothing and rejuvenating properties and helps increase energy and enhance your mood. It’s also good for relaxation and grounding. Frankincense is anti-inflammatory and antiseptic, and also strengthens the immune system. Misting this nighttime spray on your body and linens, especially your pillow, is a great way to set the mood for a pleasant night’s sleep. Using the recipe for Morning Body Mist Spray, substitute the morning essential oils for either 15 drops of lavender or 15 drops of Vitality Extracts Sweet Dreams Blend. antioxidants. It’s healing oil can help your skin, improving eczema and psoriasis, and reducing acne. Sweet Dreams Essential Oil Blend combines Orange, Juniper Berry, Lavender, German Chamomile, and Coriander Seed. This blend helps with insomnia, improves the quality and duration of sleep, calms the nerves and clears the mind. This calming mixture eases mental exhaustion and stress, and is also an antidepressant. Tip: You may want to use a funnel to get the witch hazel and water into the spray bottle. 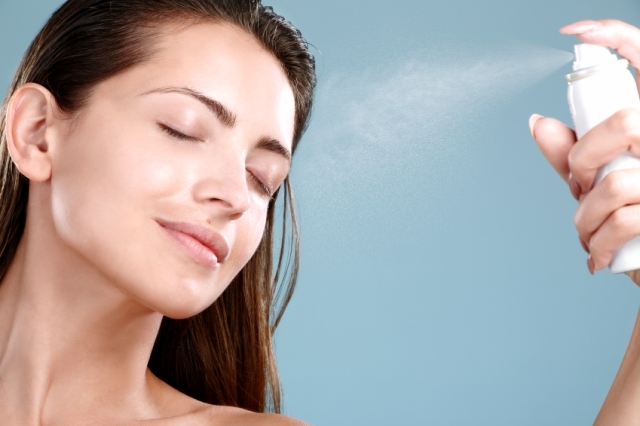 Quick and easy recipes for your homemade body mist sprays. Just shake and spray!